Well, I continue to face some health challenges, but I was able to get out and image on the 8th of January. 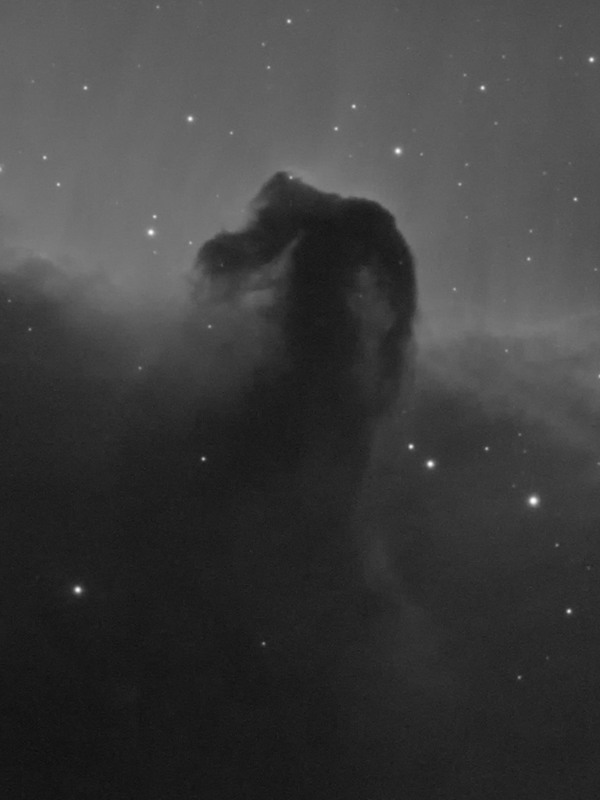 I working on a couple of imaging projects, but decided to catch some light from the Horsehead, Barnard 33. I wanted to use a little different framing than I have in the past. I was very pleased with the level of detail I was able to get. 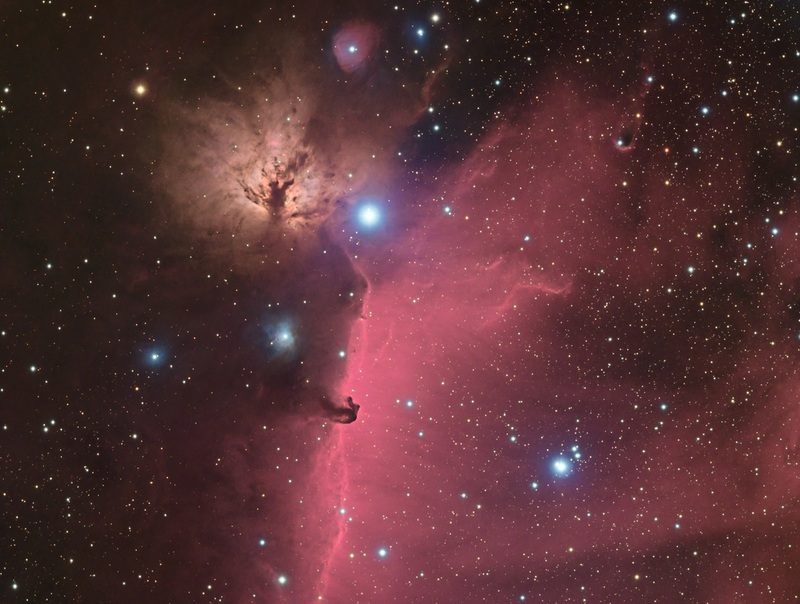 Here is a 1 for 1 crop of the section immediately around the Horsehead. Well, this has been quite a year. Software Bisque ended up replacing my MyT and the replacement has been much better. I started the year out well images of the Orion Nebula, Messier 106, the Cone Nebula, Markarian's Chain, the Flaming Star Nebula, and Holmberg 124. 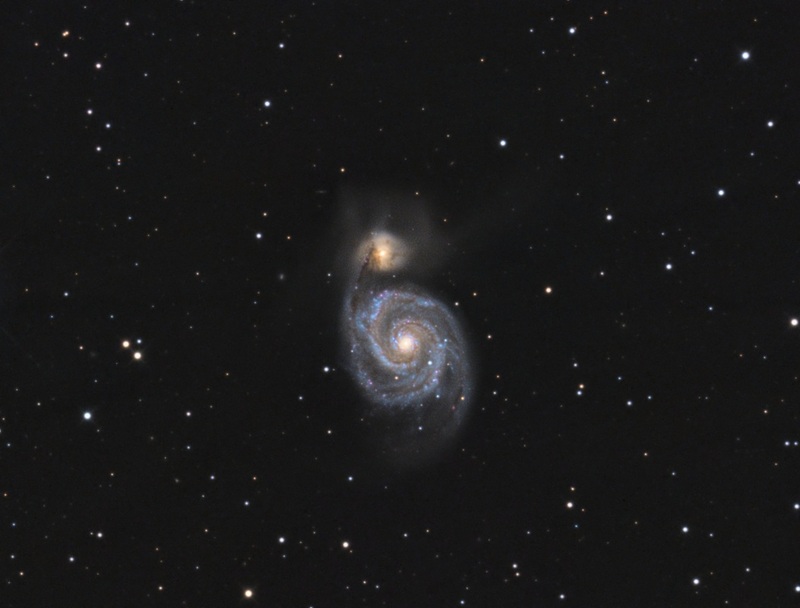 Then things got even better with two consecutive wins of Image of the day on Astrobin for The Whale and Hockey Stick, and Messier 51 (the Whirlpool). 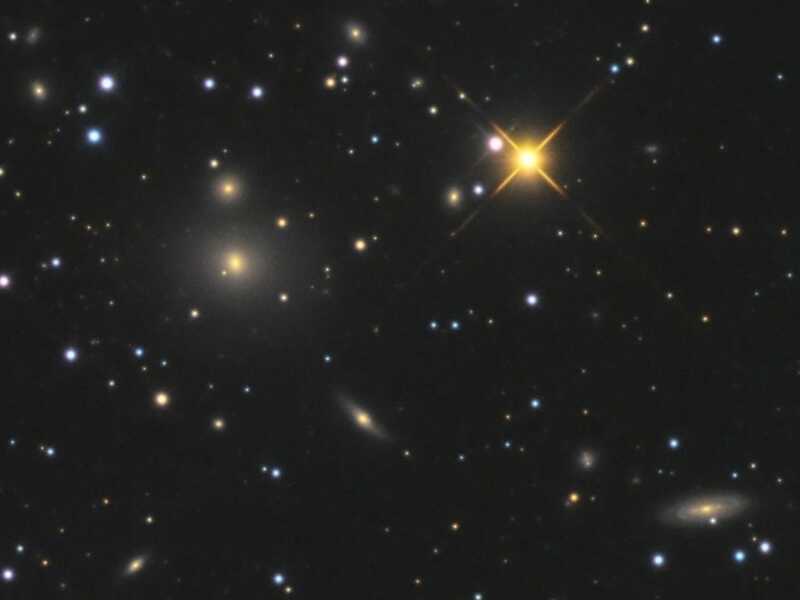 Images of NGC 3810, The NGC 3842 Group (Abell 1367), and Arp 104 (NGC 5216 and 18) then followed. The last was taken on May 22nd. Unfortunately, I then hit a rough patch of serious health issues that required two different surgeries. That took me out of commission through most of October. 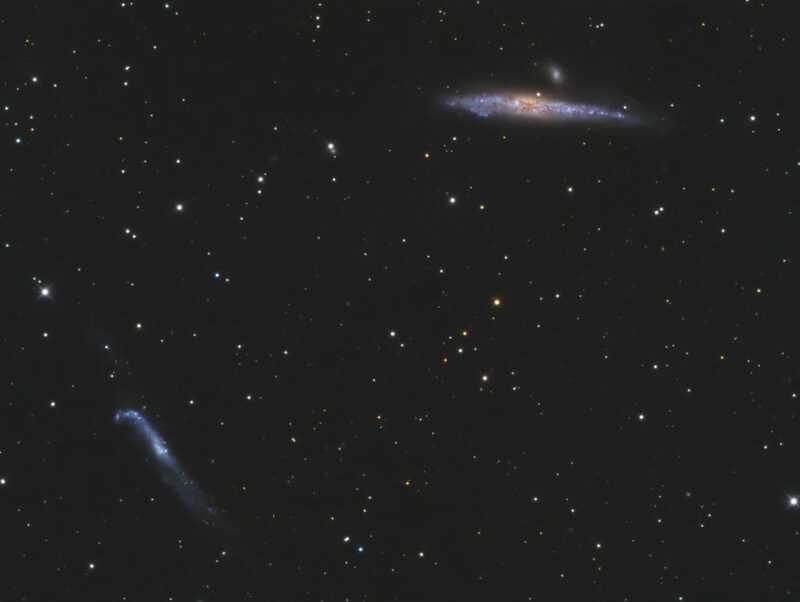 I then started imaging again and captured images of the NGC 382 group (Arp 331) and NGC 507 (Arp 229) and the surrounding group. I have a couple additional images that I have not gotten around to processing yet. It has been a hard year, but I'm still at it. I was fortunate to start off the New Year with 5 straight nights of clear skies. I have gotten a couple additional days since then as well. That has created a backlog of material to process. 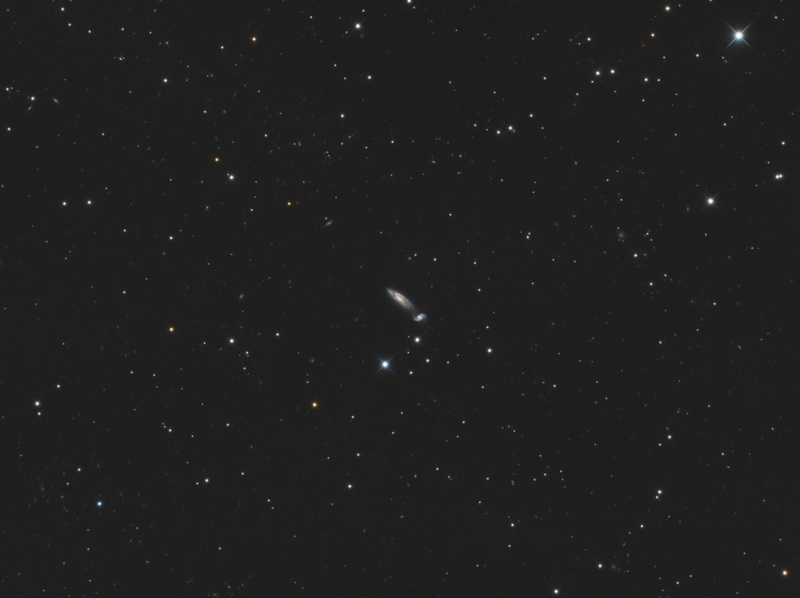 So far I have processed a version of the Great Orion Nebula (Messier 42 and 43), as well Messier 106. My Paramount MyT is still back at the shop being worked on under warranty. They have had the mount under the stars a number of times recently and are still working to completely eliminate the cross talk. On December 18th, the weather was supposed to be clear but took its sweet time getting that way. 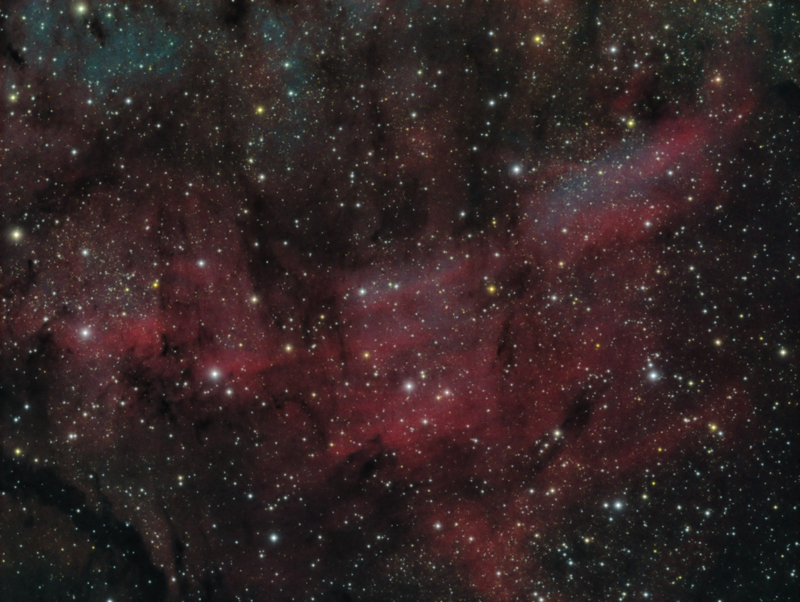 But finally, the wather did come around and I was able to capture the RGB data needed for The Fist, NGC 7822. 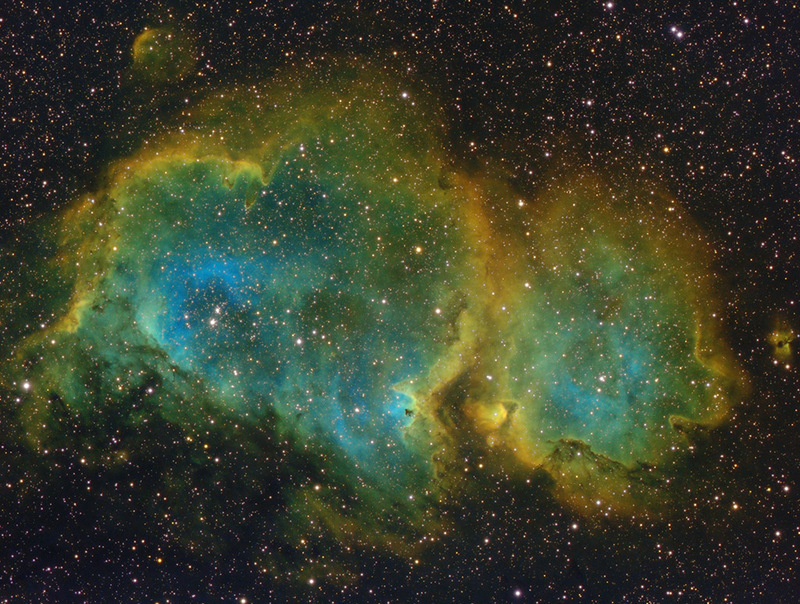 I've tried combining Ha with RGB data a number of ways since I started doing this. But recently, I've been using the HaRGB action in Annie's actions. The next night, December 19th was very good. 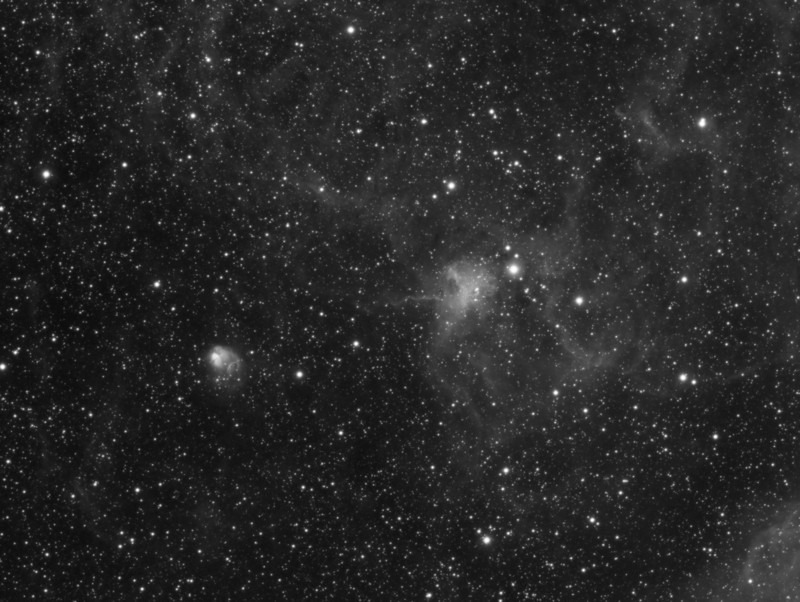 Auriga was just clearing my observatory wall when I started and I decided to go after the Spider and the Fly, IC 417 and NGC 1931. I began the run and in the morning I had 22 thirty minute subs of Ha! Only the very last sub was bad. 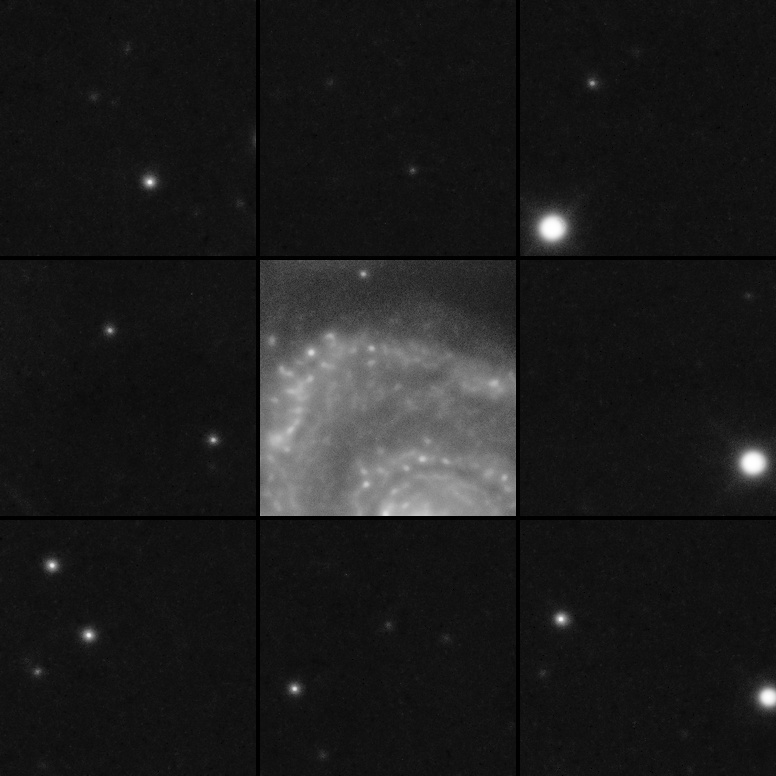 That meant I had 10.5 hours of usable data on one object in one night. I think that is a record for me. Although my Paramount MyT is still back at Software Bisque for servicing, that isn't keeping me from imaging. This is another shot made using my Atlas. I got the data for this on December 15th. It consists of a total of 42 five minute subs, 14 each in R, G, and B. I used my SV80ST-25SV with my SBIG STF-8300m. 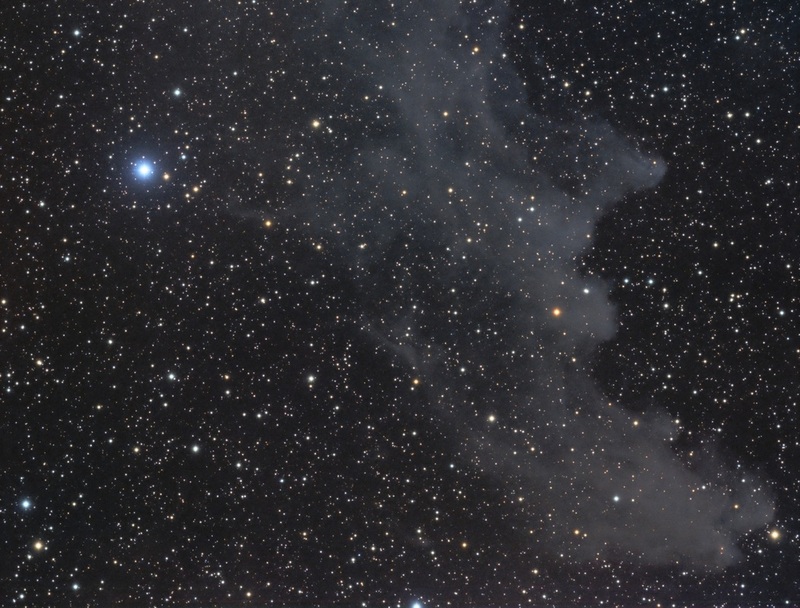 I think of the Witch Head as being located in Orion, but it is in fact in Eridanus. Since it is thought to be illuminated in large part by Rigel, it is easy to get that wrong. 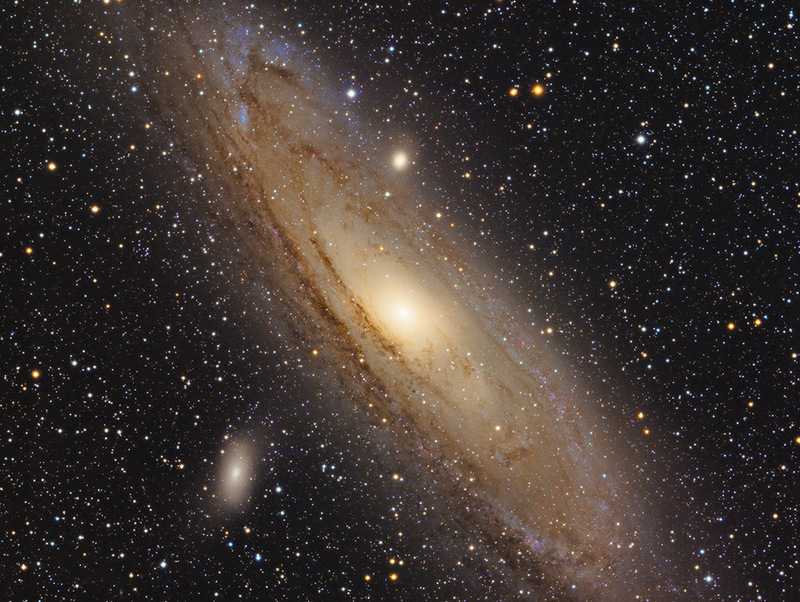 According to Wikipedia it is about 900 light years away. 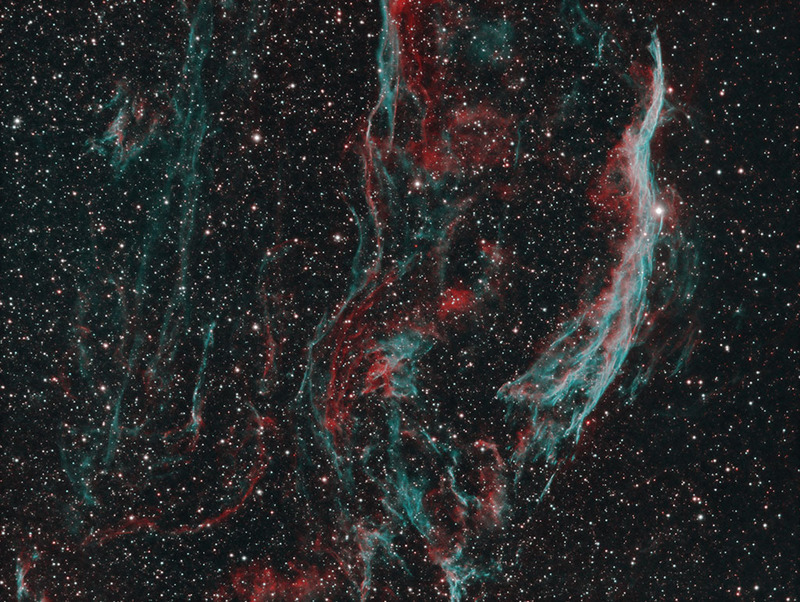 Rigel is similar in distance (according to Wikipedia about 860 +- 80 light years). It is rather dim and not prominent at all in the individual subs. She's coming for me, I know" (WildFire, Michael Murphey). My mount is still back at Software Bisque for maintenance. They have been able to duplicate the problem I was having. They believe the issue is due to a declination axis that was not torqued to specification. They are waiting for another clear night to test the mount and make sure it is really fixed. 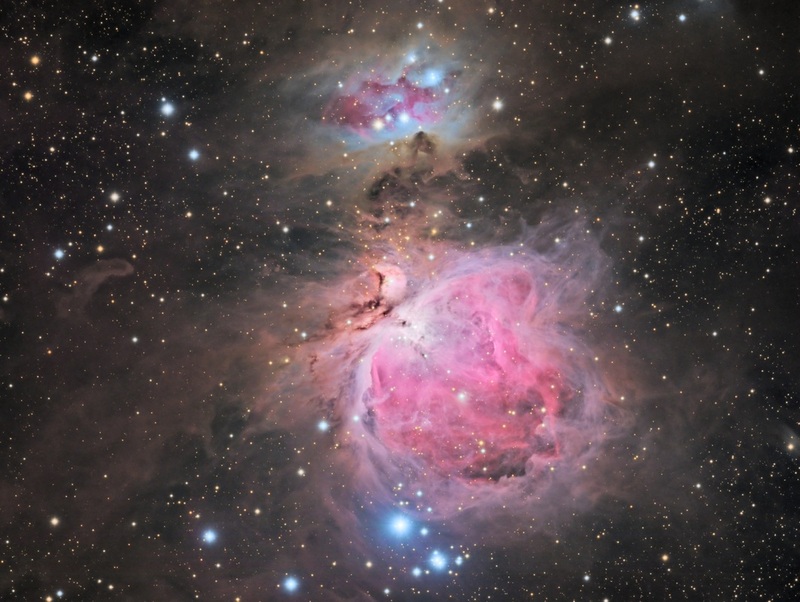 In the meantime, I have still done some imaging using my Orion Atlas. 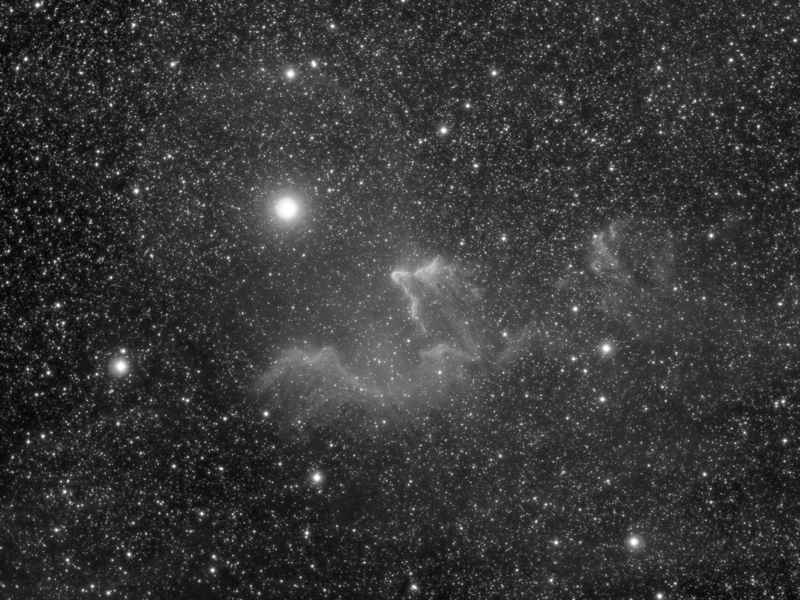 I captured an image of SH 2-207 and 208 in Ha on November 22nd. 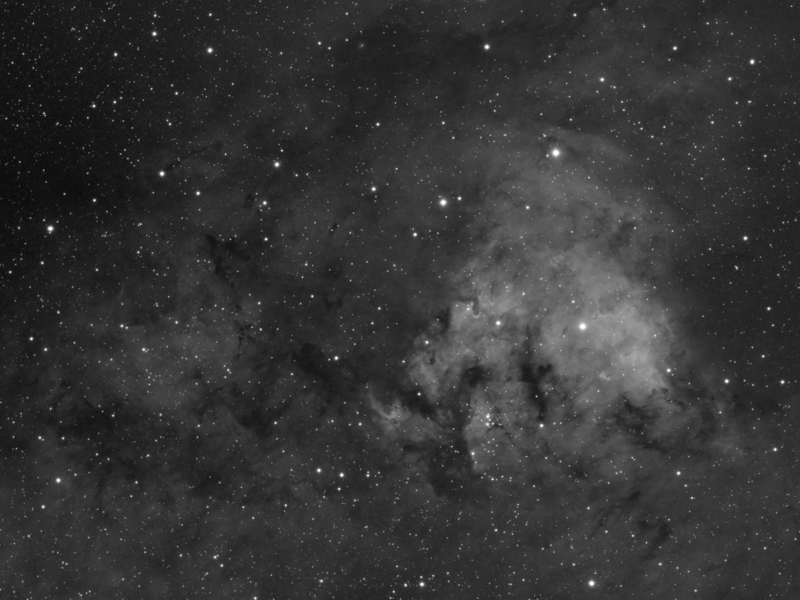 I then imaged the Fist, NGC 7822 on November 25th, again in Ha. I was then out of town for a while and now that I'm back the weather hasn't cooperated. 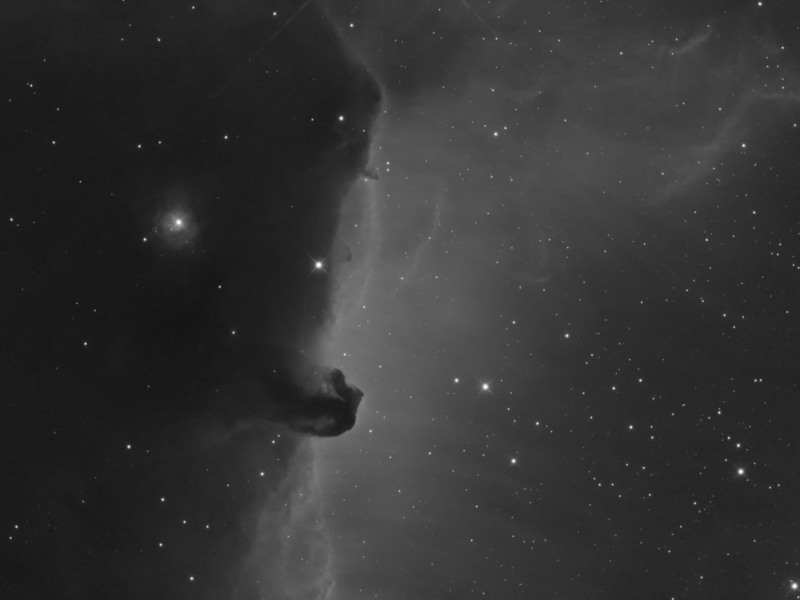 However, I decided to reprocess some data I had collected back in January of the Horsehead, Barnard 33. While it has been a while since I posted here, I have been imaging. However, there was a long cloudy stretch that knocked the productivity down. Here are some of the images I have captured. Unfortunately, I discovered along the way that my mount was having trouble tracking properly at high declination (such as with IC 59 and 63 and the Soul Nebula, IC 1848). After much testing, it turns out there is cross-talk between the declination and RA axis. In particular, guiding corrections in declination were causing spiking in the RA tracking. The mount is currently back at SB getting a thorough going over so they can determine what is wrong. Fortunately the mount is under warranty. I had realized how dependent I have become on some of the really nice features of the MyT until I sent it back. A taste of starglow energy." (Starglow Energy, Captain Beyond). It has been a rather wet spring, but that doesn't mean I have been completely zonked. 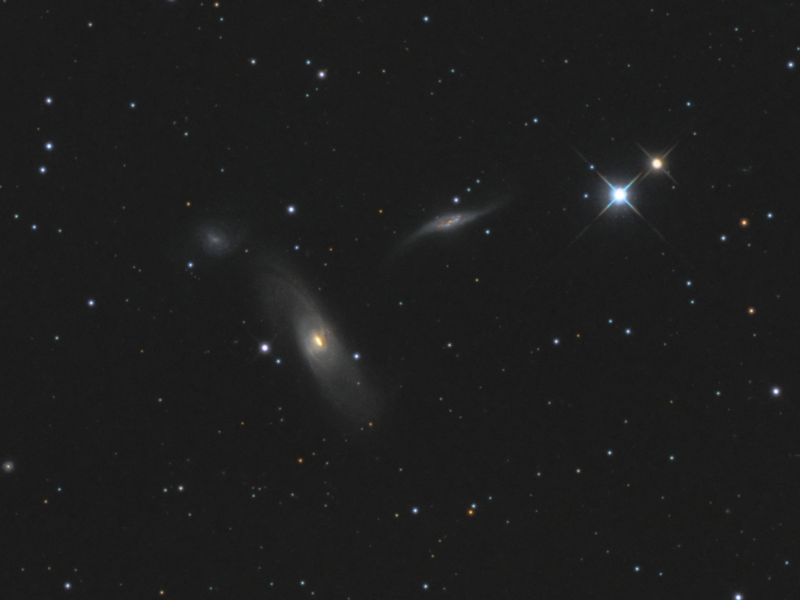 I captured this rather nice view of Arp 286 (NGC 5566, 5560, and 5569) back on the 26th of April and the 13th of May. 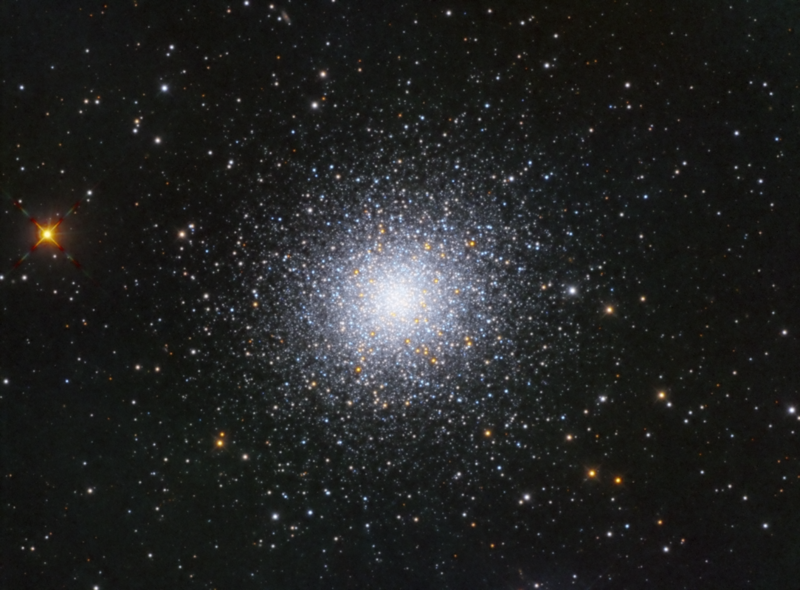 Then on the 23rd and 25th of May, I switched over to The Great Hercules Globular Cluster, Messier 13. Globular clusters are a great measure of technique and I like comparing the progress I have made over time. Both of these shots were taken at the AT8RC's native focal length using the TS Flat2. 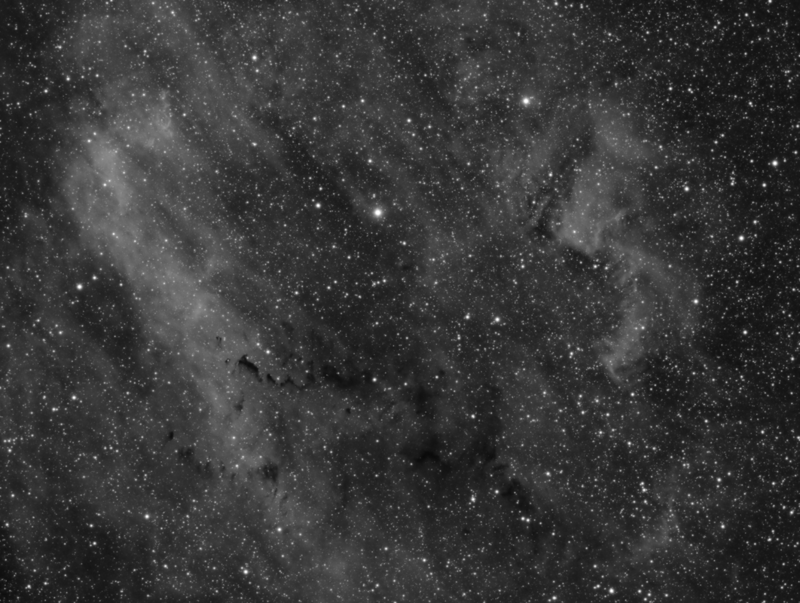 With galaxy season in full swing, I have continued to use my AT8RC with the TSFlat 2 at the native focal length of 1625mm (1612 measured). I'm liking this combination a lot. 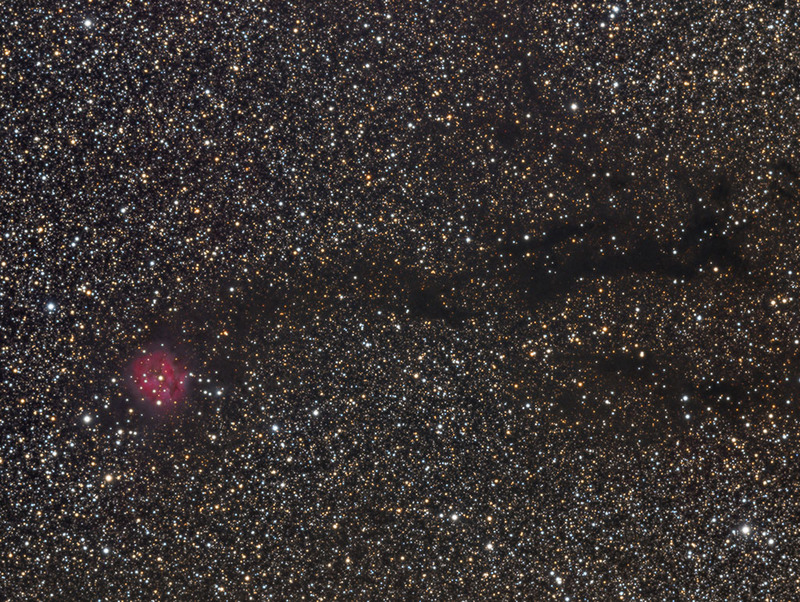 I definitely pick up more detail than I can with the CCDT67 on the AT8RC (focal length around 1190mm). Using the AT8RC with the TSFlat2, I finally met a long term goal of mine. 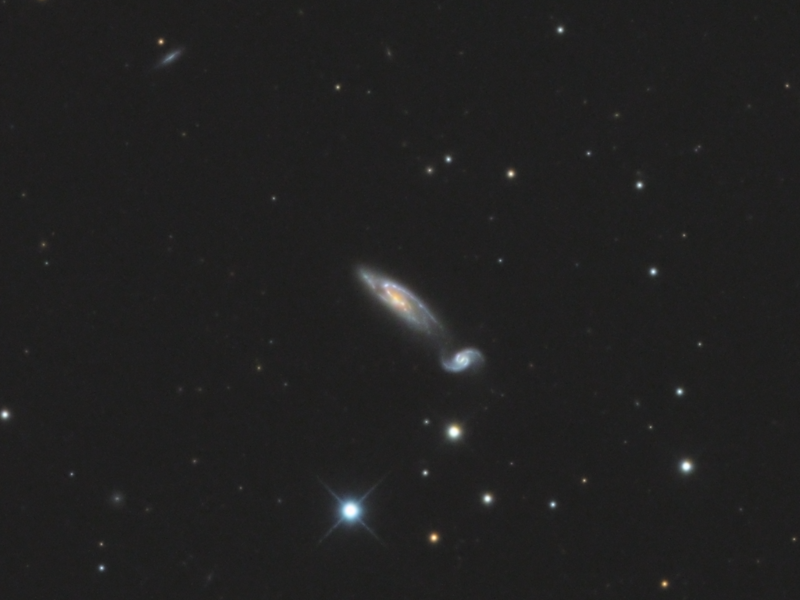 My image of NGC 3799 and 3800 (Arp 83) was awarded Image of the Day on Astrobin (see my last blog entry). 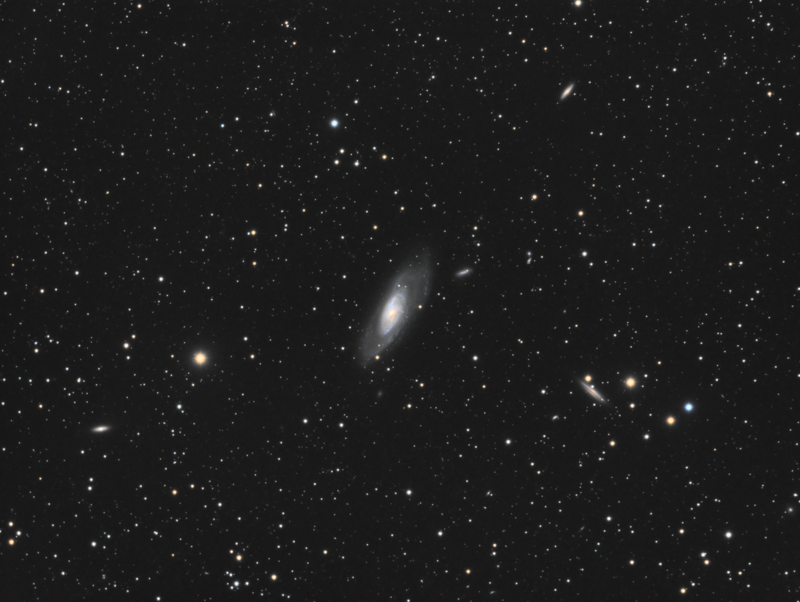 With galaxy season upon us, it was time to try out my AT8RC at its native focal length of 1625mm (f/8). My plan was to use the TS Flat 2 that I got as a flattener for my Stellarvue 80 and use that on my AT8RC. I calculated that the spacing I required was right around 111mm from the TS Flat 2 to the sensor. 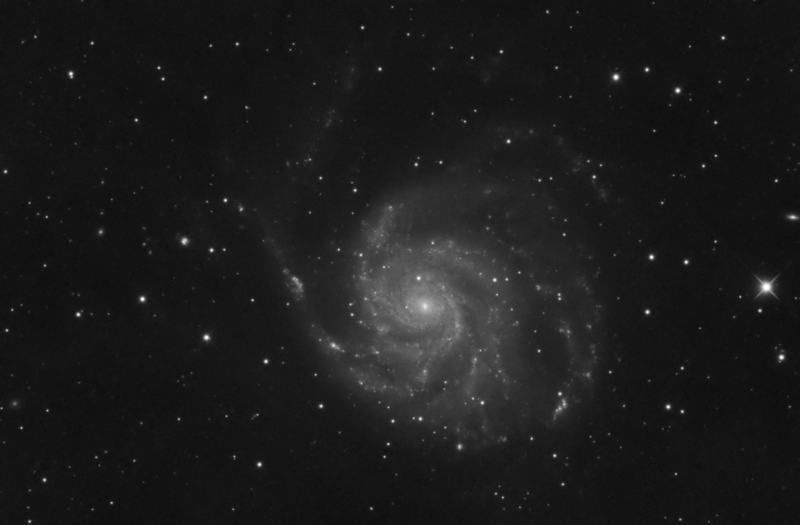 I first tried this out on Messier 51 back on the 7th of March. The results were mixed. Star shapes looked good in the corners but the seeing was rather poor and as a result it was hard to judge whether the combination was sharp or not. The color data for this came from last year. Last years version was sharper but not as smooth. 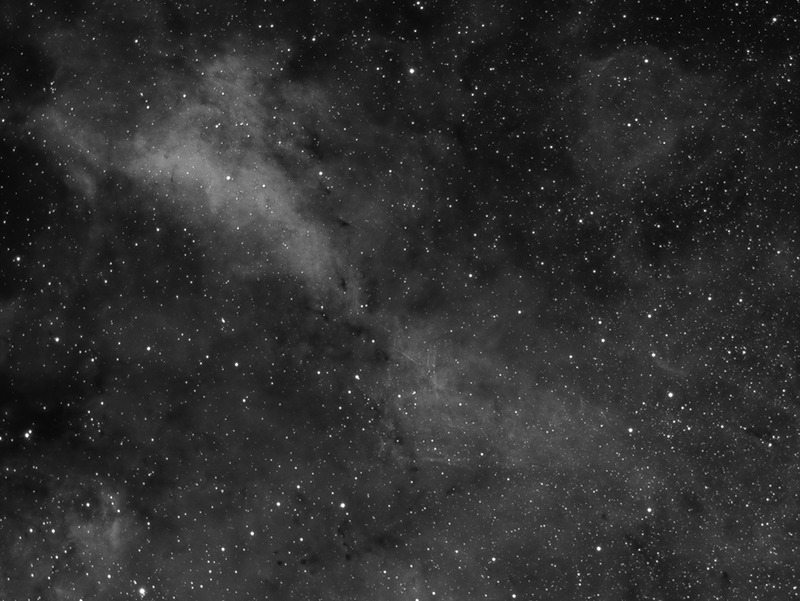 Here is what the stars look like in the corners. That is much improved compared to not using a flattener. 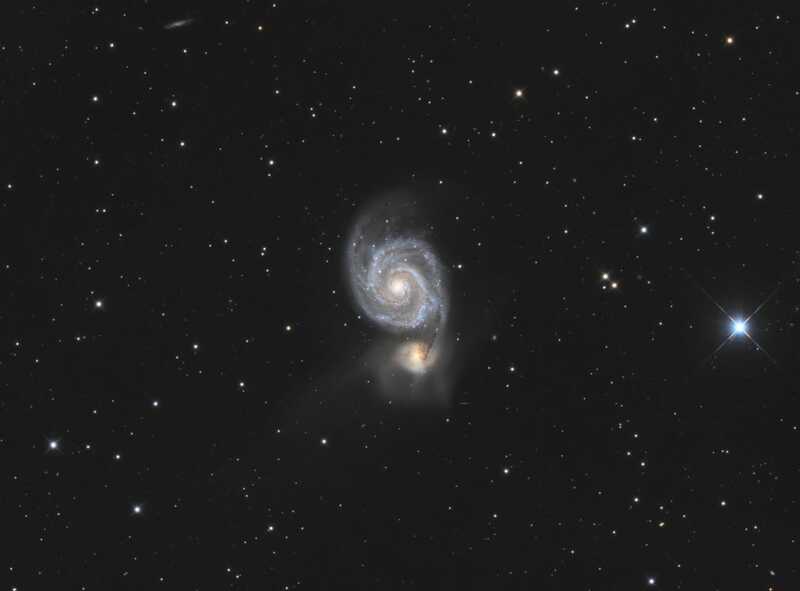 Skies again cleared on the 15th of March, and I decided to go after a MUCH tougher target, Arp 83 (NGC 3799 and 3800). Seeing started out poor at the beginning of the night but improved steadily as the night went on. I ended up with 35 luminosity subs (10m binned 1x1) and tossed 15 of them, keeping only those with a FWHM of 3.0 or better. It cleared again on the 17th of March and I got 11 more luminosity subs, nine of which I kept. My best sub had a FWHM of around 2.1 which is my best ever for luminosity. Sharpness is definitely improved over what I could get working at 1190mm with the CCDT67. I also picked up 4.5 hours of color data on the 17th. 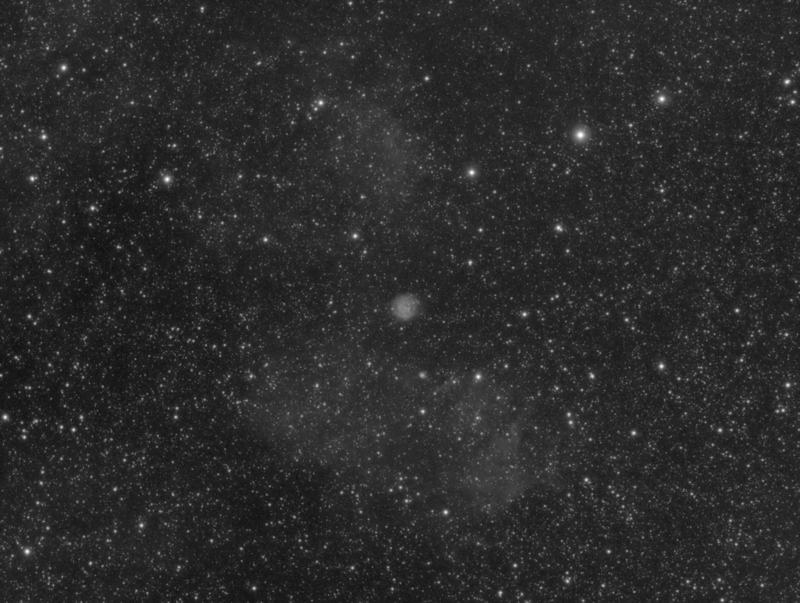 Animated GIF of at least two asteroids in the field. (42920) 1999 SA8 is to the right and is the more obvious of the two. 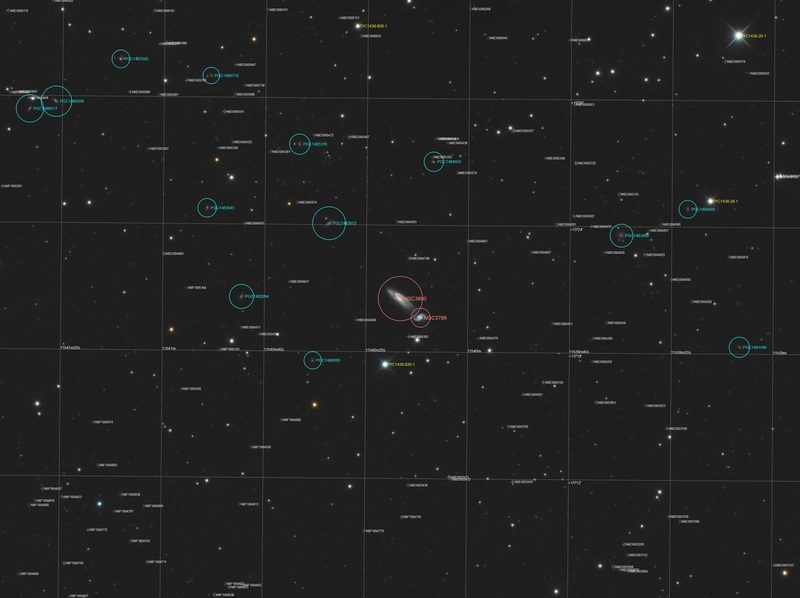 Much fainter is (123336) 2000 VD45 and is located well above NGC 3800. I'm really pleased at the detail I was able to resolve. 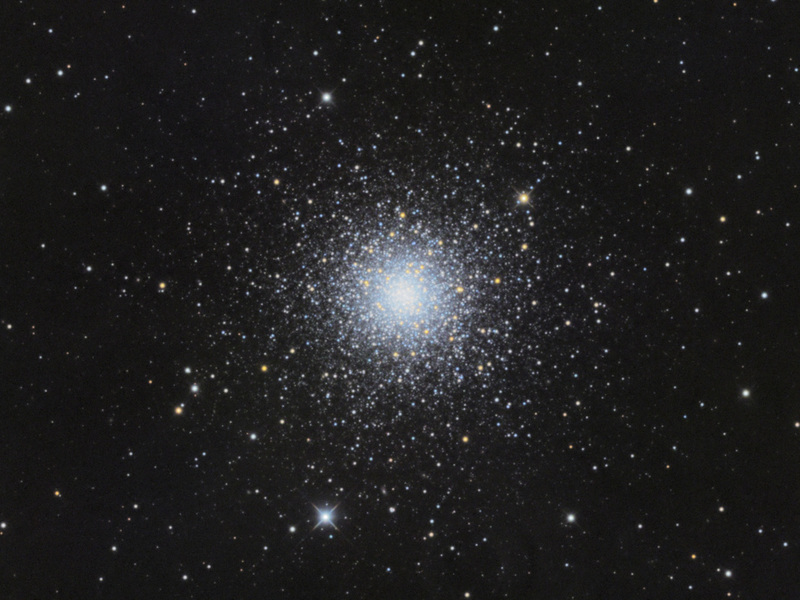 NGC 3800 is the larger and brighter of the two at magnitude 12.5 and 2' x .6' in size. 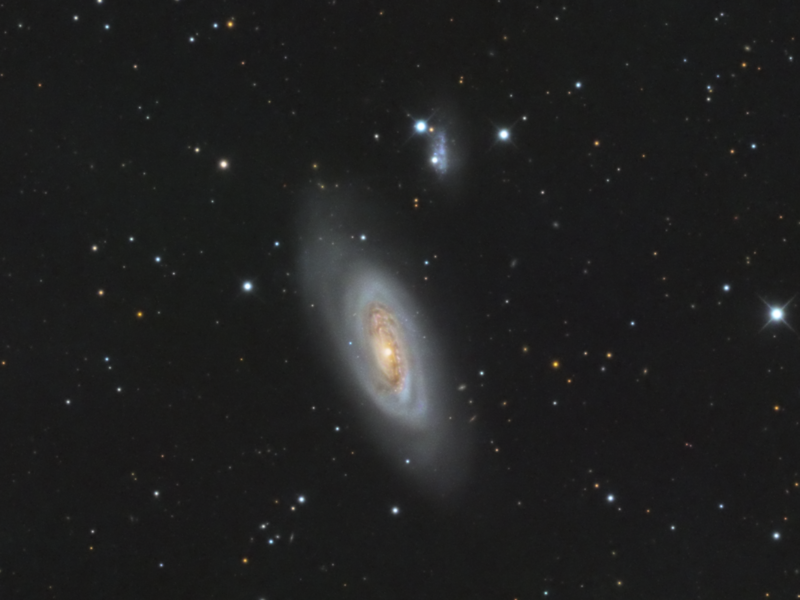 NGC 3799 is magnitude 13.7 and is just .7' x .5' in extent.